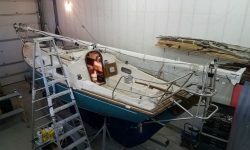 With the end of the project, the owner arranged to have the boat surveyed for his insurance purposes, and once that was over with early in the week, I went ahead to prepare the boat for her imminent departure, restowing and securing the mast on deck and loading various gear back aboard. 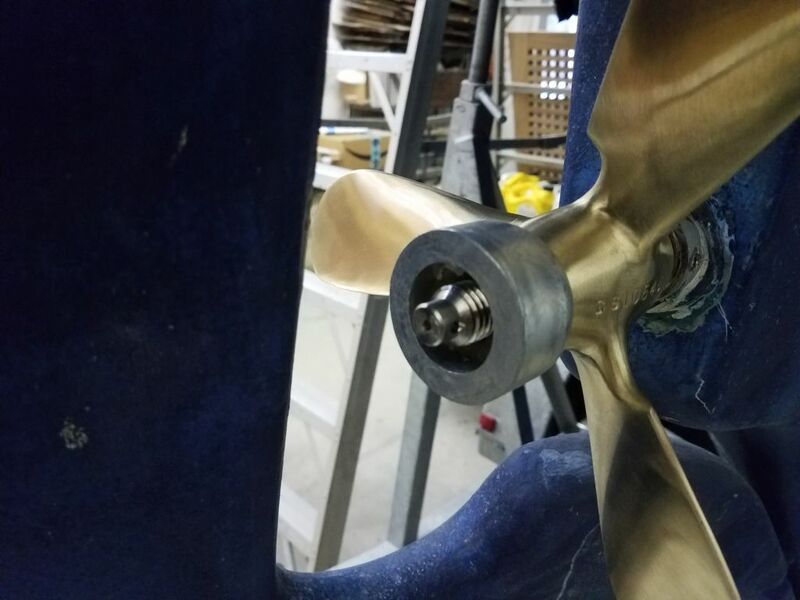 One final detail remained. 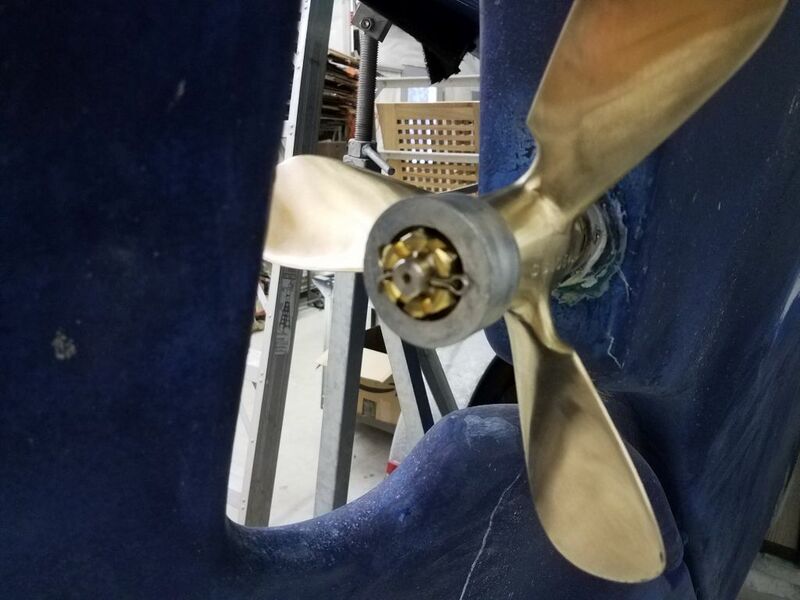 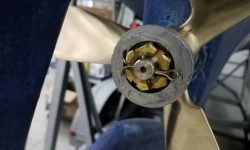 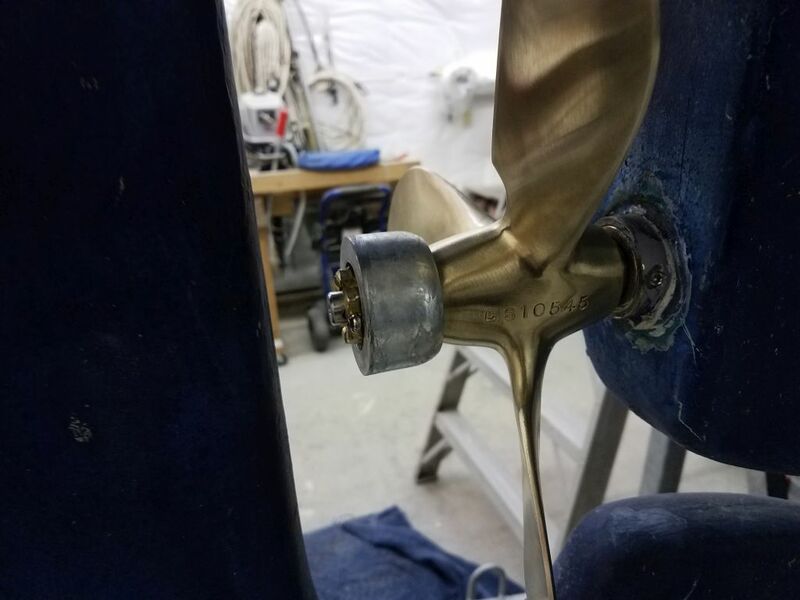 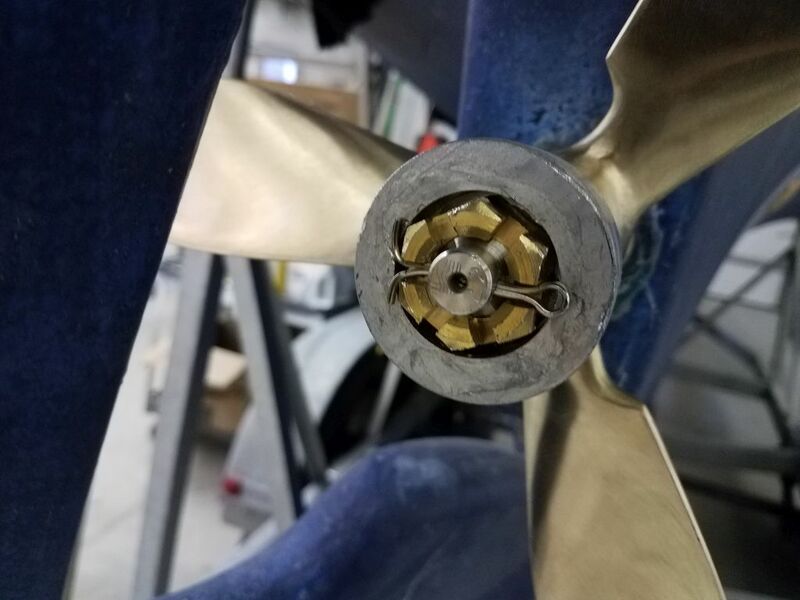 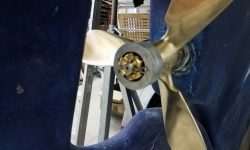 I had hoped to be able to install a zinc on the prop shaft; while in my mind the requirement or even desirability of this remains in question, at least when the boat’s underwater metallic compontnents are electrically isolated from one another (as they are here), there seemed little down side other than simply recycling zinc through the ecosystem. 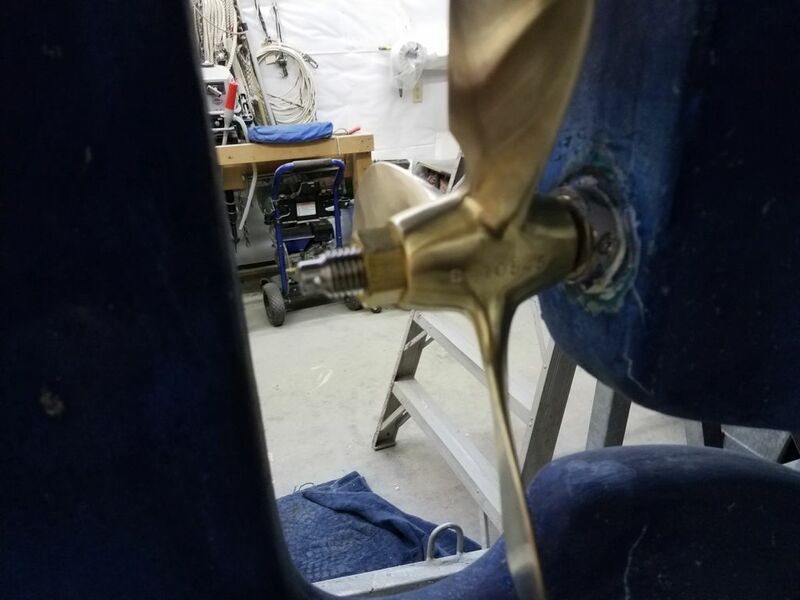 The first prop hub zinc I’d tried, a standard and readily-available version, didn’t fit in the tight space between the prop and the rudder on this boat, but after a pretty extensive search I found a version that looked promising and ordered it. 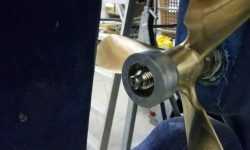 When the new zinc and nut assembly arrived, and after quickly determining that it would work here, I installed it. 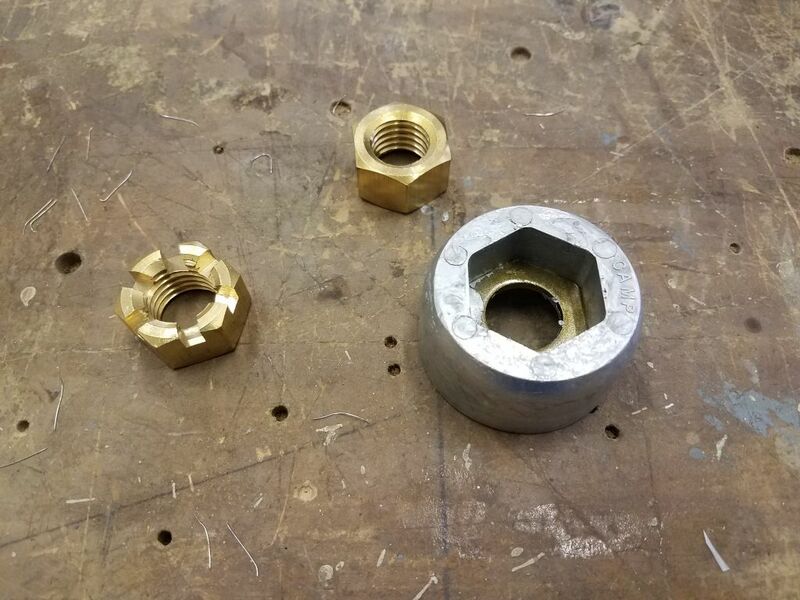 This zinc came with a prop nut that replaces the original two nuts, so I removed those and installed the supplied prop nut tightly. 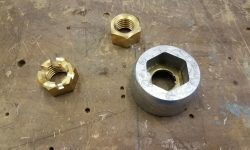 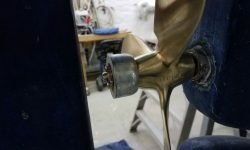 The zinc itself is designed to fit over this nut, with a hex-shaped recess on one side, and then the zinc is secured with a castle nut at the end of the shaft, which fits inside the rounded aft end of the zinc. 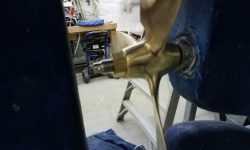 I finished off the installation with a cotter pin to hold the arrangement in place. 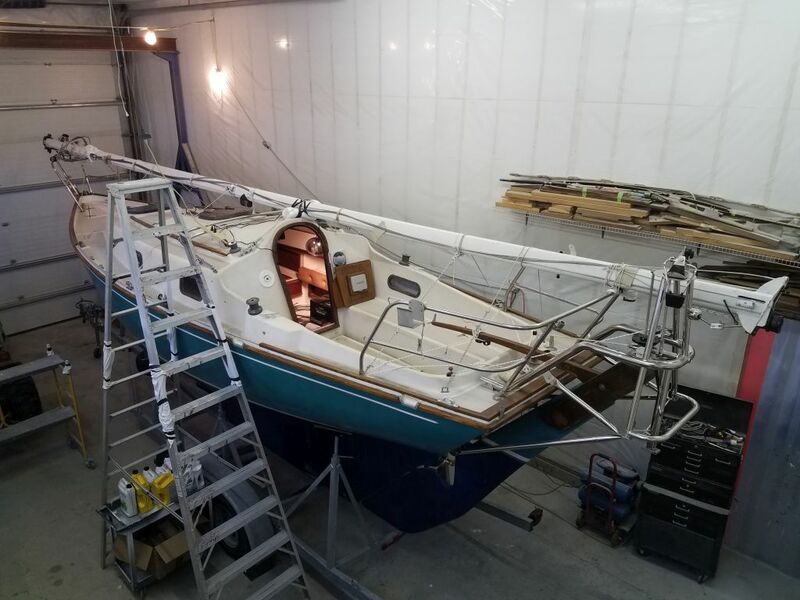 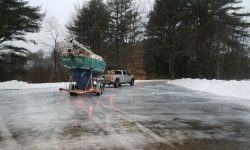 With a brief unusually-warm weather window (if not fair weather), the owner planned to pick the boat up and bring her home in a whirlwind trip, and I got the new zinc in place just in time before the owner arrived in Maine in the evening. 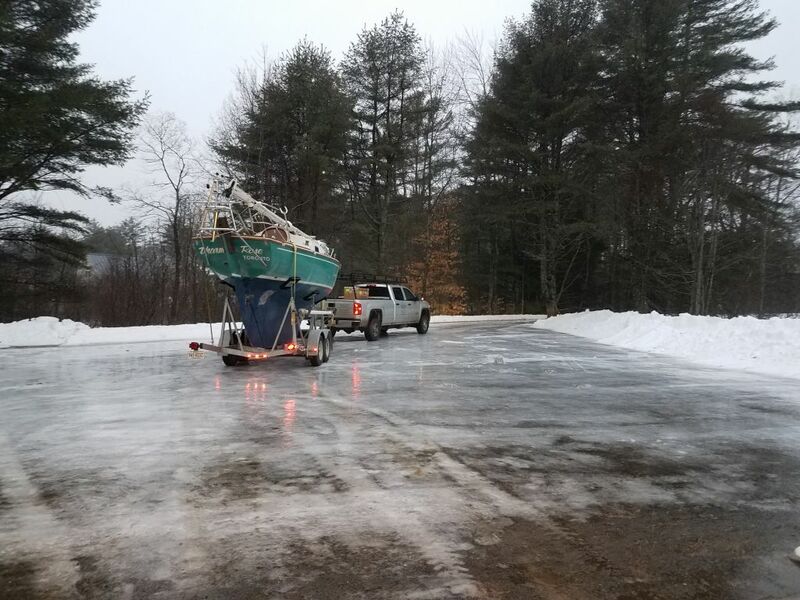 in the morning, with freakishly warm temperatures but a newly-icy and slick (but aesthetically reflective) driveway thanks to the recent snow now saturated with rain, the owner departed for home with the boat, ready to finish a few small projects and go sailing this summer.